All the comforts of home with Casino action, dining, shopping & a relaxing pool & Jacuzzi just steps from you. With 24 hour Bingo, live entertainment & many more amenities, Arizona Charlie's is your best bet for Vegas fun. This appears to be an up scale park from the outside, but where we were put in the park, we were surrounded by old run down RVs that did not meet there stated guidelines of "must be a late model well maintained RV." Made us a little uncomfortable to be surrounded by old poorly maintained & cluttered sites, that felt a little like being in a run down neighborhood. 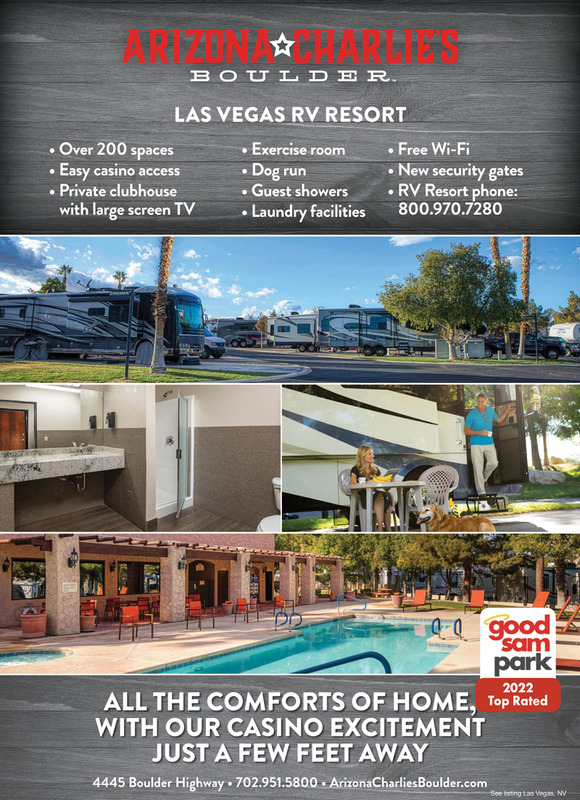 The park states that there are no long term rentals allowed, but clearly some of the RV's in the park have been there for months, if not years. If you are looking for a park that you would be comfortable letting your children be in the park, outside alone, this is not the place to stay. The rules that are stated in their Park Rules, they clearly do NOT enforce. Be prepared to deal with a large number of feral cats. I stayed here for a week. It is not close to the strip, but a casino with restaurants are on site. The sites are close together and almost no shade, but the they have concrete pads. Unfortunately it was very hot when I was there, and even though the park was just half full, voltage would drop so low in the middle of the day, my AC would not run at times. The bathhouses are nice, but could use some minor maintenance. No security issues as stated in other reviews. Frequently saw bicycle security in park. Clean. Short walk to inexpensive dining. A little more expensive than nearby facilities. Would stay again. 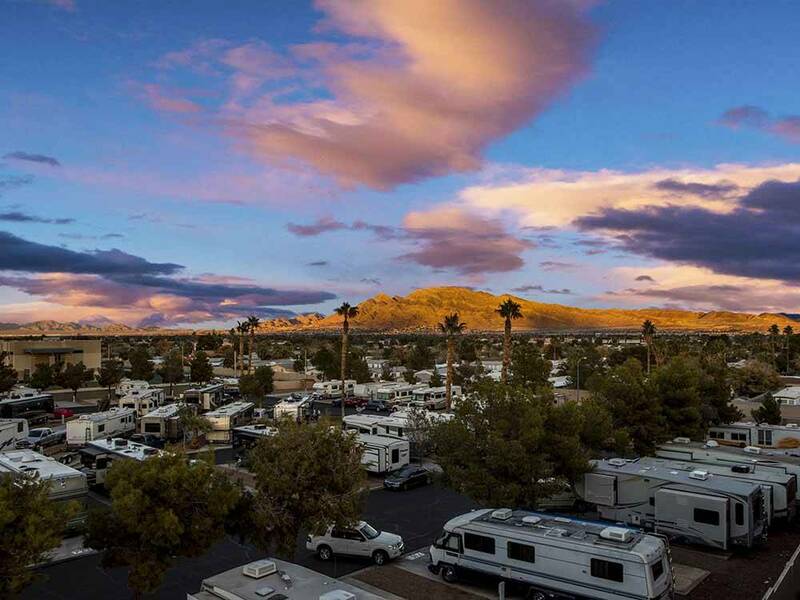 This is a large campground on a main road next door to a casino. It's very professionally laid out. The interior roads are paved and plenty wide for maneuvering large RVs. The sites are wide enough and the pads are paved. Each site is identical, very commercial and impersonal. But the staff was nice and the park spotless. The baths had key code locks and were clean and new looking. The price is good, naturally they want you to go to the casino. We would stay here again.